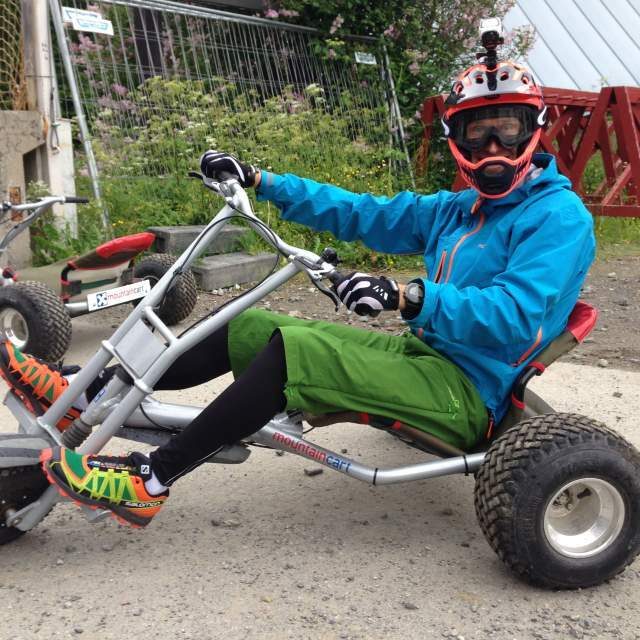 Starting this summer, you can race down alpine hills on huge tricycles. Summer’s coming, but the ski lifts don’t stop running. Soon you can experience the Hemsedal slopes on mountain carts. Soon the snow melts, and our skis and snowboards will be locked away – until the next season. But the wonderful alpine resorts around Norway are obviously not going anywhere, even if spring and summer arrive. They are not even closing. Many have already discovered the adrenaline rush of taking a mountain bike up the lifts, and then set out down the slopes. Now, there comes a new and more family friendly attraction – that is just as fun. Namely, Mountain Carts. Starting this summer, you can try it at Hemsedal, one of the most popular mountain destinations in Norway. “We use the gravel roads along the slopes, so you get a longer trip that is not so steep,” says Marit Foss, Project Manager in Hemsedal Aktiv. The vessels are reminiscent of large tricycles, mixed with a go-kart and an ATV. Yet there are no pedals or engines. You can bring it up on the ski lift. The carts have a robust frame and responsive breaks, so you don’t need more protection than a helmet and a pair of sunglasses. Still, the more adventurous among you can achieve good speeds and get a kick out of it. Try a mountain cart and go downhill in a "grown up 3 wheel bike"! “It is a product that you can discover on holiday and then go and try right away. You don&apos;t need to be prepared or wear full armour. When you feel safe and confident, you can still release the brakes and have a lot of fun,” says Foss. Kids can ride in their parents’ lap, so that whole families can experience this together. “It&apos;s like a pair of skis. You can use them in the children&apos;s area, or to ski down Mount Everest. We will primarily make this a broad product that is accessible to everyone, but we can also offer off-road driving to groups that want a more challenging experience,” says Foss. You can book a mountain cart for a half or whole day at Hemsedal.com. The season begins on June 24.